Would you like assistance creating a California LLC operating agreement? At SD Esquire, we help businesses protect their interest by creating operating agreements. Read on to learn more about California LLC operating agreements. When founding a new LLC, one of the first steps the members should take is to create an operating agreement. Most states require an operating agreement if there is more than one member of the LLC. Even if there is only one member, he/she will still want to create an operating agreement, because without one the company will look like a sole proprietorship and a court may treat it as such with regards to personal liability. One of the main advantages to an LLC operating agreement is that it ensures that the business is run by the member’s rules and not the default rules of the state. For example, some states have a rule that profits and losses are distributed equally among members regardless of capital contribution. With an operating agreement, the members can distribute the profits and losses any way they want. LLC operating agreements should be drafted by and attorney. A typical operating agreement will usually contain each members’ percent ownership, member voting rights, allocation of profits and losses, the management of the LLC, and how to admit new members or buy-out old ones. Most LLCs allocate ownership interest based on capital contribution, but the members can allocate the percent interest anyway they wish. There are a number of ways in which an LLC can assign voting rights. Some LLCs base voting rights on percent ownership. In other LLCs, each member will have one vote regardless of percent ownership. The operating agreement should also explain how many votes are need to resolve an issue- it can be a simple majority, 2/3 majority, unanimous decision, or some other percentage. If the members of the LLC do not wish to use their state’s default rules, then their operating agreement needs to explain how profits and losses are to be distributed among members. Most companies distribute profits and losses on the basis of ownership percentages, but a company can distribute profits any way they see fit. The operating agreement should explain how much of the profits are distributed to members and how much of the profits are invested back into the business. The operating agreement can also explain how often profits are distributed. The method of profit and loss distribution has tax implications, so it is a good idea to have a tax professional prepare or review this section of the operating agreement. The operating agreement should explain whether the LLC is going to be member-managed or manager-managed. The operating agreement can also include manager duties, salary, how long managers will serve, and any limitations on manager authority. Lastly, it is important for an LLC operating agreement to explain what will happen if one of the members wishes to transfer their shares, dies, or else becomes incapacitated. Many LLCs will require that the company has the right of first refusal before shares can be transferred. The operating agreement should also include a provision of how to admit new members. SD Esquire can help you draft or review an LLC operating agreement. Review our California Contract Drafting, Review & Amendment Service for more information. 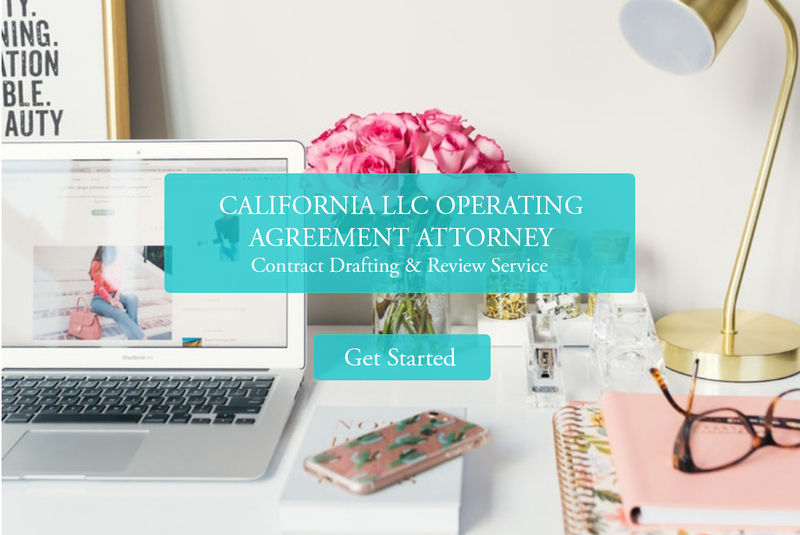 California LLC operating agreement drafting service starting at $595.